Nanoengineers at the University of California San Diego have developed an energy-efficient recycling process that restores used cathodes from spent lithium ion batteries and makes them work just as good as new. The process involves harvesting the degraded cathode particles from a used battery and then boiling and heat treating them. 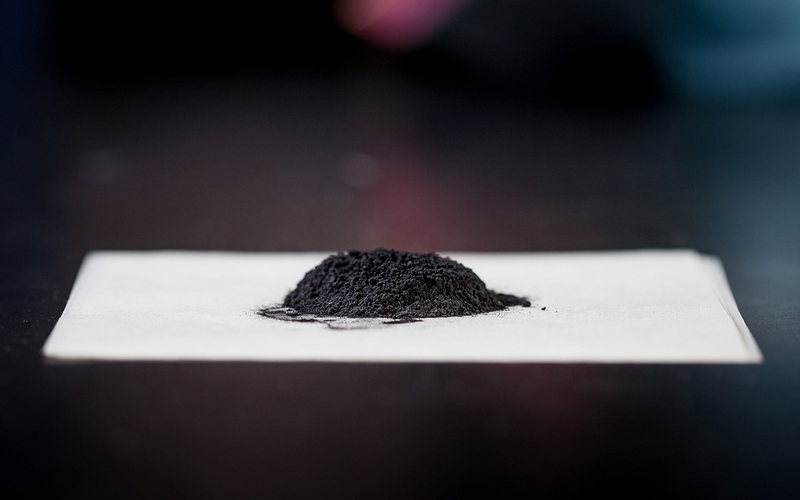 Researchers built new batteries using the regenerated cathodes. Charge storage capacity, charging time and battery lifetime were all restored to their original levels. This work presents a solution to an environmental concern regarding lithium ion batteries: what to do with them when they wear out. Less than five percent of used lithium ion batteries are recycled today. “Think about the millions of tons of lithium ion battery waste in the future, especially with the rise of electric vehicles, and the depletion of precious resources like lithium and cobalt—mining more of these resources will contaminate our water and soil. If we can sustainably harvest and reuse materials from old batteries, we can potentially prevent such significant environmental damage and waste,” said Zheng Chen, a professor of nanoengineering at UC San Diego. Chen, who is affiliated with the Sustainable Power and Energy Center at UC San Diego, says this work could also address economic issues related to battery waste. “The price of lithium, cobalt and nickel has increased significantly. Recovering these expensive materials could lower battery costs,” he said. The new recycling method, published recently in Green Chemistry, can be used to recover and restore a lithium ion battery cathode material called lithium cobalt oxide, which is widely used in consumer electronic devices including smartphones and laptops. The method also works on NMC, a popular lithium cathode containing nickel, manganese and cobalt, which is used in most electric vehicles. The method involves first collecting cathode particles from spent lithium ion batteries. Researchers then pressurize the cathode particles in a hot, alkaline, solution containing lithium salt—this solution can be recycled and reused to process more batches. Afterwards, the particles go through a short annealing process in which they are heated to 800 C and then cooled very slowly. Researchers made new cathodes from the regenerated particles and then tested them in batteries built in the lab. The new cathodes showed the same energy storage capacity, charging time and lifetime as the originals. An interesting thing about this process, Chen noted, is that it’s essentially the same one that’s used to make the original cathode particles. “We can simply restore the degraded material by putting it through the same processing steps,” he said. As a lithium ion battery wears out, the cathode material loses some of its lithium atoms. The cathode’s atomic structure also changes such that it’s less capable of moving ions in and out. The recycling process that Chen’s group developed restores both the cathode’s lithium concentration and atomic structure back to their original states. Overall, the recycling process uses 5.9 megajoules of energy, equivalent to the energy in about three quarters of a cup of gasoline, to restore one kilogram of cathode material. Several other lithium ion battery cathode recycling processes that are being developed use at least twice that energy. The goal is to optimize this process for industrial scales. Chen’s team is planning to work with battery companies in Asia. A particular area of improvement is the cathode harvesting step, Chen said. Right now, the particles have to be manually picked out from the rest of the battery. Researchers are working on simplifying this step so that the entire process is industrially viable. Chen’s team is refining this process so that it can be used to recycle any type of lithium ion battery cathode material, in addition to lithium cobalt oxide and lithium NMC. “The goal is to make this a general recycling process for all cathodes,” Chen said. The team is also working on a process to recycle used anodes. The team has filed a provisional patent on this work. Contact Victoria Cajipe in the campus Innovation and Commercialization Office at vcajipe@usd.edu or (858) 822-2304 for licensing information. Paper title: “Effective regeneration of LiCoO2 from spent lithium-ion batteries: a direct approach towards high-performance active particles.” Authors of the study are Yang Shi and Zheng Chen of UC San Diego and Gen Chen of the University of California Los Angeles. This work was supported in part by start-up funds from UC San Diego.